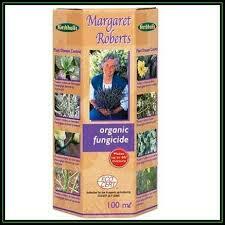 Margaret Roberts Organic Fungicide is a broad spectrum organic fungicide/bactericide solution for the control of diseases on edible crops, ornamentals, herbs and roses. Diseases: Registered in RSA for powdery mildew on roses, ornamentals and peas. US (known as Lonlife) and EU uses include bacterial leaf spots, anthracnose, damping-off, downy mildew, botrytis rot and many more diseases. Dosage: 15 to 30 ml per 10 litre water, weekly applications. Environmental hazard: Formulation has a very low oral toxicity towards humans, wild life and pets. 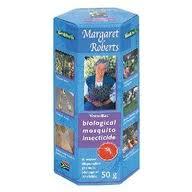 No harm to fish, birds, wild life, beneficial insects and predators at recommended dosage rates. No secondary poisoning. Harvesting of edible crops 24 hours after last application.